Now with a new epilogue, The Prizerecounts the panoramic history of one of the world's most important resources: oil. The struggle for wealth and power that has surrounded oil for decades continues to shake the world economy, dictate the outcome of wars, and transform the destiny of men and nations. The Prizeis as much a history of the twentieth century as of the oil industry itself. The canvas of this history is enormous -- from the drilling of the first well in Pennsylvania through two great world wars to the Iraqi invasion of Kuwait and Operation Desert Storm. The cast extends from wildcatters and rogues to oil tycoons, and from Winston Churchill and Ibn Saud to George Bush and Saddam Hussein. 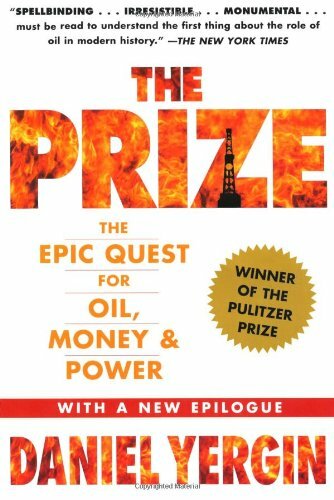 The definitive work on the subject of oil and a major contribution to understanding our century, The Prizeis a book of extraordinary breadth, riveting excitement -- and great importance.